Get all text and photo changed to yours. We will edit content in CV with information and image you provide. Highlighter color change included as well. After completed, all you need is to send Resume to print or e-mail to an employer to get all chances to be a perfect candidate! The editing process of Your Resume becomes easier and more interesting. 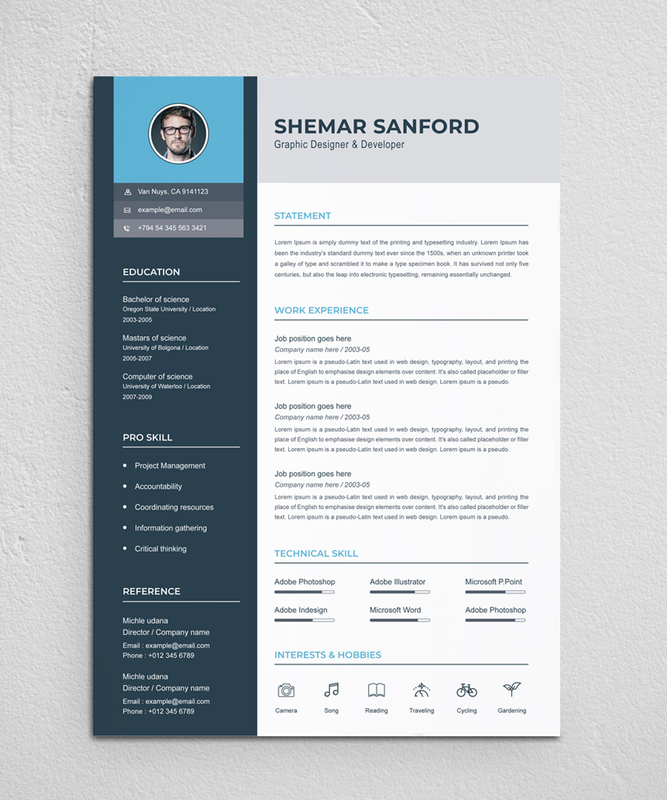 We have created 2 sets, each of 30 unique icons, so you can add your personal style to every section of the resume - contacts, experience, interests, etc. The icons are provided in AI, PNG, PSD. 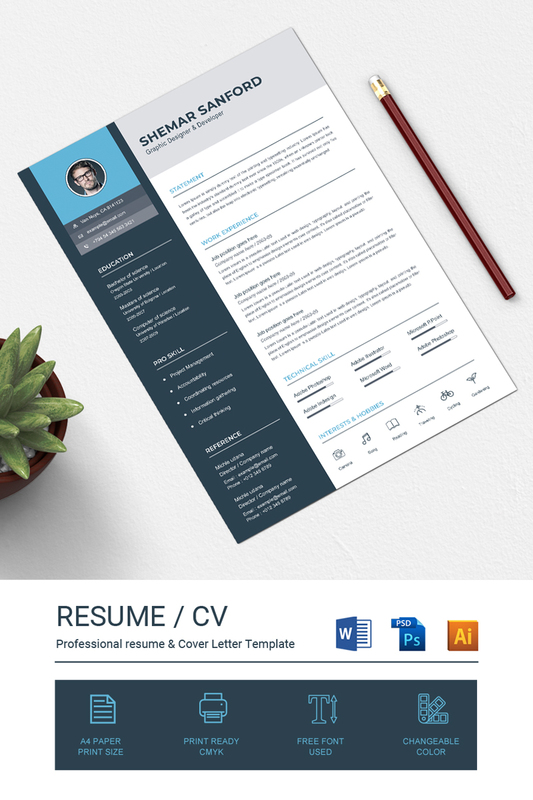 This is a clean resume template, only text is highlighted in this resume. this template is made with 3 format (word, eps & Psd) if you need you can change the color. you can also change the text by double click on the text. 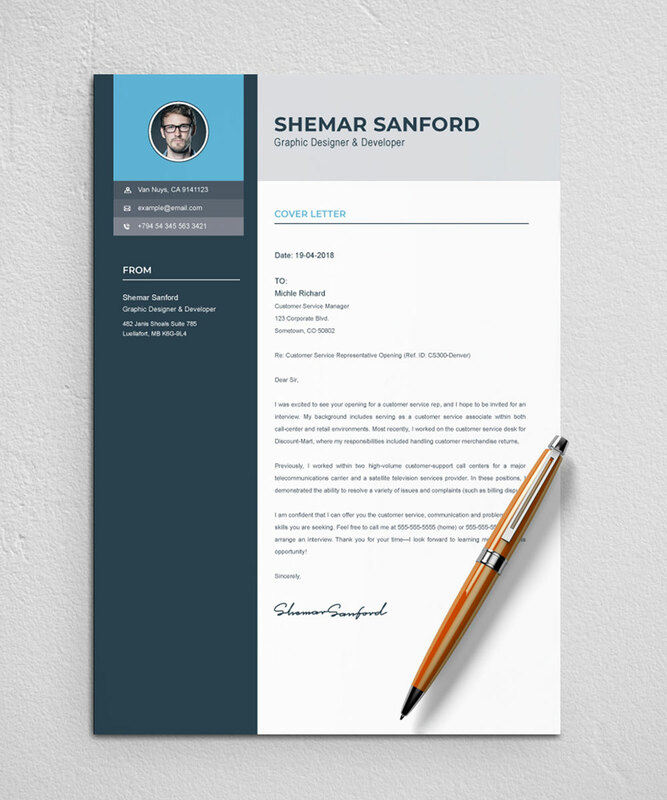 it's professionally designed, we take a unique approach to boring business documents, creating modern and easy to use templates just for you. 01_ A4 Size Print Dimensions (8.27Ã—11.69 .in). 02_Ai, EPS and DOCX Files Included in main files. 05_Fully editable colors & shape. 07_Instruction & Support File included.